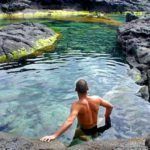 Charco del Palo is a nudist urban development by the village of Mala, sun, natural swimming pools and … little clothing. To be more precise, no clothing at all. 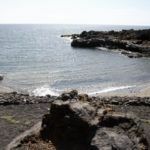 There are three coves in Charco del Palo. Two natural swimming pools, one on either end of the urban development, very well organized spatially with natural stone nooks. 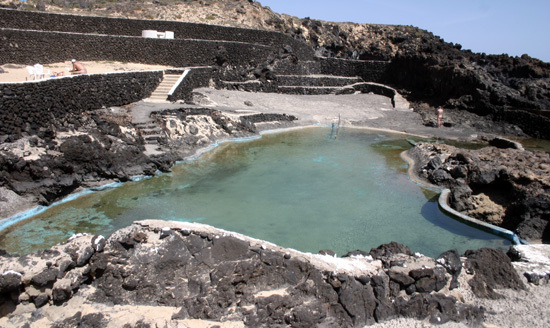 The geophysical configuration of the area constantly renews the waters of these pools. Besides, as opposed to the strong surf on the outside, the swim is very placid. 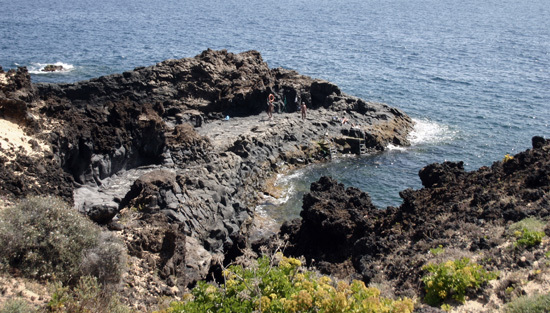 Between the pools there is a large rocky outcrop that serves as a small pier (see the picture below). 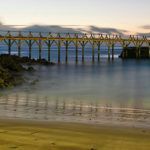 There is even a small staircase that’s hanging from the pier, to get out of the water safely, just like at any common swimming pool. 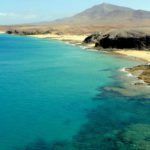 They do not live only on sun and tide at Charco del Palo. 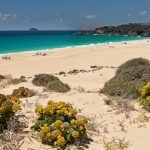 In the north pool you can play beach volleyball, have tea at five o’clock or play beach petanque. 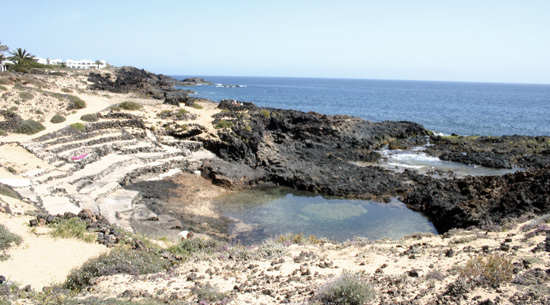 Away from the tourist routes, Charco del Palo is a quality alternative in contrast to the narrow traditional beaches. 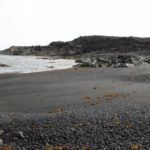 The coastline in this area is spectacular and the natural pools are just amazing. Nudist village at the coast of Mala.